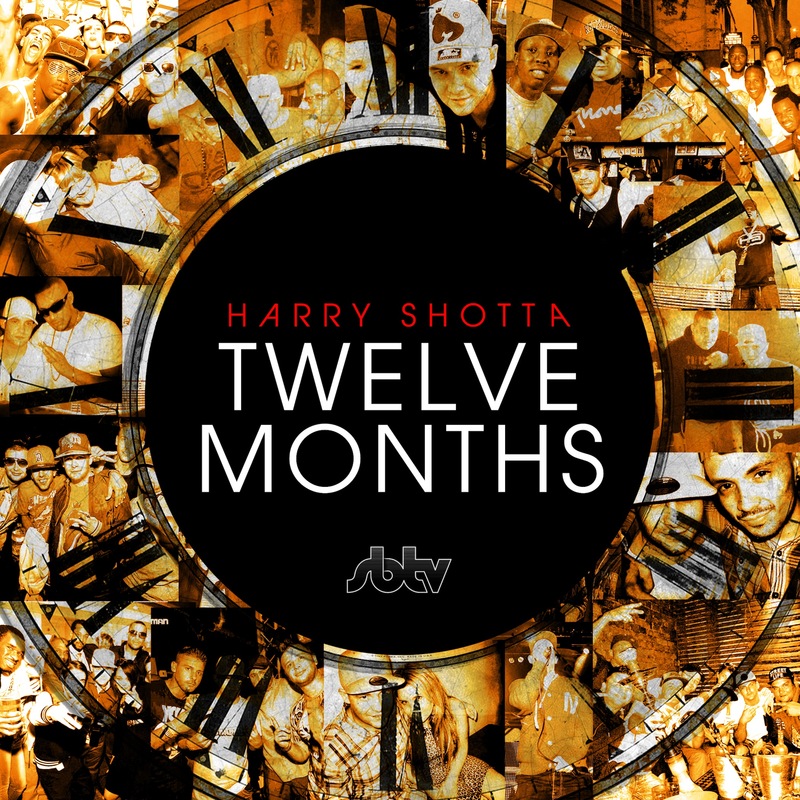 Harry Shotta’s new mixtape ‘Twelve Months’ captures an explosive year of professional and personal highs & lows, as he determinedly builds his ever-growing fan base and media awareness. A year packed with intense studio sessions, live p.a’s around the U.K. and abroad. Also a year where Harry deals with the extremes of family loss to planning for the future with his engagement to his long-term girlfriend. With accolades for his unique rhyming ability from D.J.Semtex, to his incredible performance on Charlie Sloth’s ‘Fire In The Booth’ Harry has released continual fire throughout the year on SBTV and a whole host of popular Internet music channels. Harry’s growing status for his supercharged Live Performance’s has seen him performing P.A’s as far away as Russia to Calgary in Canada to his Yacht Party in Spain to P.A’s all around the U.K. With an army of under 18 fans, Harry has been a regular feature at Under The Radar events and has just completed some dates at O2 venues with his Harry Shotta Show. Following the success of his Rap mixtape ‘Moonlight Hustle’ and his Drum & Bass studio mix ‘Space Jump’ he also put together the ‘Kaleidoscope’ compilation to showcase artists from his collective. After this, Harry immediately went to work on his new project. ‘Twelve Months’ features 18 tracks that bring together some of our finest home-grown talent and is stuffed with exciting collab’s riding over hand picked beats from Red Skull, Preston Play, Z Dot, Kaze Beats, Rees, and a whole lot more. The mix tape boasts cameos from Mic Righteous, P Money, Ratlin, Little Torment, Proverbz, Trigga, Flexplicit and Kaleidoscope Music’s own Dreps, Fatal and Paris. Harry Shotta’s new mix tape ‘Twelve Months’ drops September 2013 exactly 52 weeks after ‘Moonlight Hustle’ and will take you on an emotional driven Roller coaster ride.